How Manchester United could use a player like Nemanja Vidić these days. With a lack of assurance at the back, they've been forced to often play with two holding midfielders, one of which serving essentially as a fifth defender, which has stunted the team's ability to attack. Ten years ago this week, Serbian international Vidić made his debut for the club, coming on as a late substitute in a 2-1 win over Blackburn in the Carling Cup. Joining the club from Spartak Moscow for £7 million, Vidić would provide the steel next to Rio Ferdinand's stylish play in the United back line as the two would go on to form arguably the best central defensive partnership in Europe for the next few seasons. The uncompromising Serb helped the club to the League Cup Final in his first season, where they would hammer Wigan 4-0. 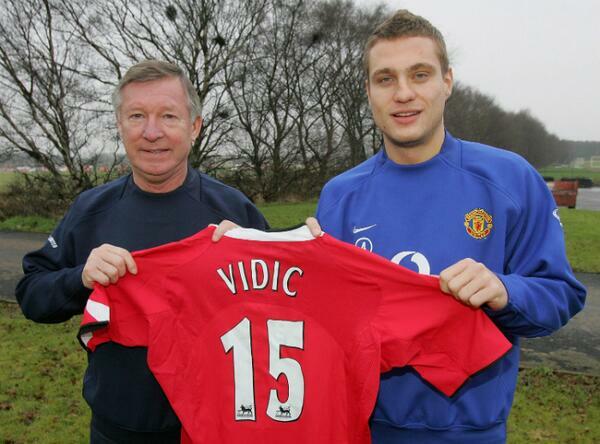 Vidić went on to make 300 appearances for Manchester United, on his way to collecting five league titles, three League Cups, and the 2008 UEFA Champions League. A firm favourite with United fans, Vidić left the club for Inter in 2014.